‘Throw the recommendations and Bill of Law commission in Dustbin'. Terming, "The Advocates (Amendment) Bill, 2017" as draconian and an ‘Anti Lawyer Bill”, a joint meeting of Bar Council of India and High Court Bar Associations has resolved to organize massive protests against it. The meeting has also demanded a legislation to replace collegium system. 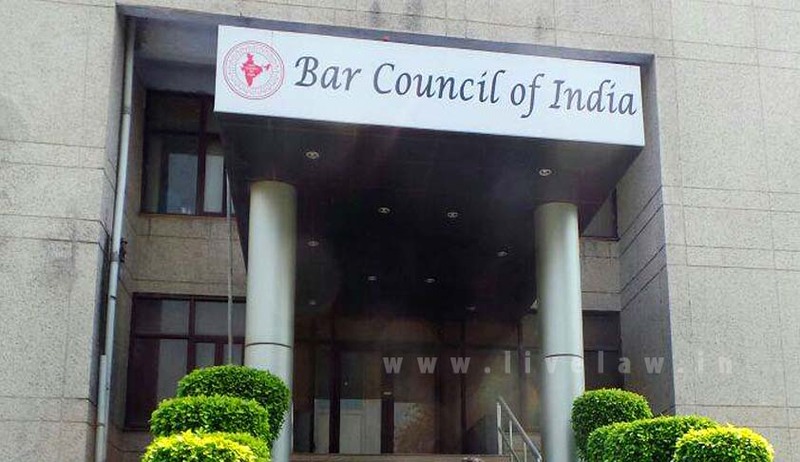 The meeting between the Bar Council of India and representatives of all the High Court Bar Associations on April 9th has asked all lawyers to abstain from court work after lunch on April 21. The Bar Council of India resolution says that the recommendations of the Law commission has put the entire legal fraternity into jeopardy. It also calls for resignation of Chairman of Law Commission accusing him of misleading the Central Government by making false statement about BCI. The Joint resolution demands the Government to "throw the recommendations and Bill of Law commission in Dustbin'. The resolution threatens a protest on May 2nd, and a protest march from Patiala House court to Rajghat. "Massive Rallies" and "Jail Bharo Campaign' are also planned. A meeting with the Prime Minister Narendra Modi and other Union ministers is also planned to "make them acquainted with misdeeds of the commission"
Law Commission of India had submitted its 266th report titled ‘The Advocates Act, 1961 (Regulation of Legal Profession)’ suggesting drastic changes in the Advocates Act 1961 to the Law, to the Government. In its report, it emphasizes the need of reviewing Regulatory Mechanism and Regulatory bodies etc., and recommended comprehensive amendments in the Advocates Act. Read Live Law report here. The meeting has also resolved that the Union Government should come with a new legislation replacing collegium system for appointment of judges of High Courts and Supreme Court in order to ensure transparency in the process of appointment; Bar should also be involved with the process of appointment. It has also demanded a legislation for accountability of judges.